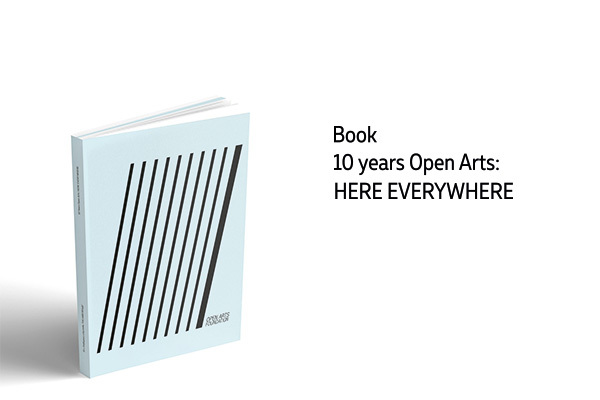 The book “10 years Open Arts: HERE EVERYWHERE” is an anniversary edition for the jubilee of Open Arts Foundation and the exhibition “HERE EVERYWHERE” curated by Vladiya Mihaylova, which was realized in its context. The bilingual edition is part of a large scale initiative of the foundation in its decennial celebration of sustainable work in the NGO sector in Bulgaria. A period, within which “Open Arts” have implemented and developed new cultural management practices and models of work, created events and projects of great significance and have affirmed their belief in the necessity of cultural missionary work. The book’s 160 pages present the key projects of “Open Arts”, their partners and associates, as well as the catalogue of the “HERE EVERYWHERE” exhibition, which was realized within the framework of NIGHT/Plovdiv 2017.